If there’s one thing Taylor Swift hates more than the bad girl who was cheer captain while she was on the bleachers, it’s Spotify. She spent years crusading against music streaming sites before finally granting Apple Music the rights to 1989, and then she finally gave up the rest of her catalog to both Apple and Spotify last year as a celebration for selling 10 million albums (or maybe as a not-so-subtle dig at Katy Perry, who had just released a new album on the same day). This week, Swift left her longtime (and, until today, only) record label Big Machine Label Group for Republic Records and Universal Music Group, but not before forcing her new label to make the same choice Lucas Till had to make in that video: Does it want Spotify or does it want Taylor Swift? Universal Music Group chose Taylor Swift, and in doing so it agreed to a clause that says any money it gets from selling its shares in Spotify will “result in a distribution of money to their artists, non-recoupable.” That comes from Swift’s Instagram (via The Guardian), and it means that other artists under the UMG umbrella—not just Swift—will benefit when/if the label decides to unload any stake it has in her nemesis. Also, the “non-recoupable” bit means the artists getting this money won’t be obligated to pay it back to UMG in some way like they would with an advance. That’s not even the end of the benefits for Swift. 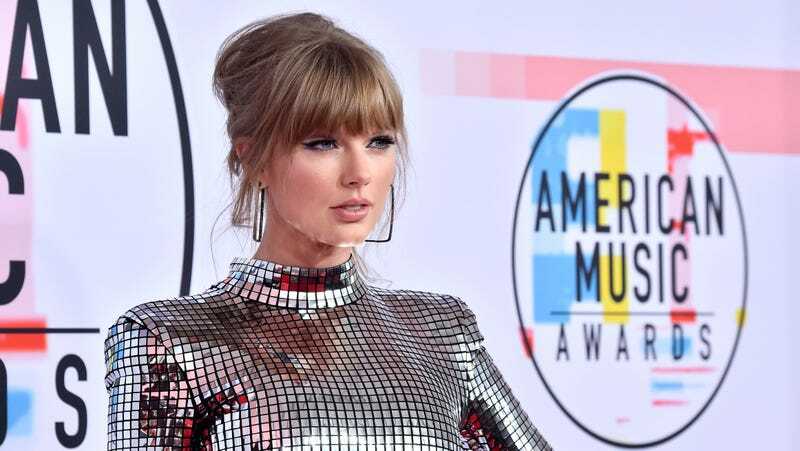 The Guardian says she’ll also control the master recordings of any music she releases under UMG, which is particularly notable because Big Machine Label Group reportedly makes 80 percent of its revenue from the rights to Swift’s first six albums. Basically, assuming she continues to release successful albums, Taylor Swift stands to make a good amount of money, but even if she doesn’t, she’s secured at least a little bit of money for the artists in the Universal Music Group family. Take that, bad girl. Lucas Till wanted to go to the big dance with Taylor the whole time!